Yasser Mossayebzadeh, Saheb Fadaie and Mohammad Reza Omidi – all from Muslim backgrounds – were also charged with “acting against national security”, alongside Youcef Nadarkhani, a pastor once sentenced to death for apostasy. They are due to appear in court again in the northern city of Rasht on 15. Oct. The maximum sentence for that charge is six years in prison. This is the second time Omidi has been convicted of drinking alcohol. A third conviction could lead to his execution. Mossayebzadeh, Fadaie and Omidi were initially arrested on 13 May alongside Nadarkhani and his wife, Tina. 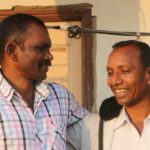 The couple were released later that day, but the three others were detained. More than 200 Christians have been detained by Iranian authorities since 2015. Many are in jail, while others have been released conditionally, pending sentencing or an appeal. Middle East Concern’s Rob Duncan said that at least 43 Christians were arrested in August alone. “The Iranian regime is conducting a very active campaign against house churches at the moment and leaders of house churches are harassed and put under pressure,” he said. 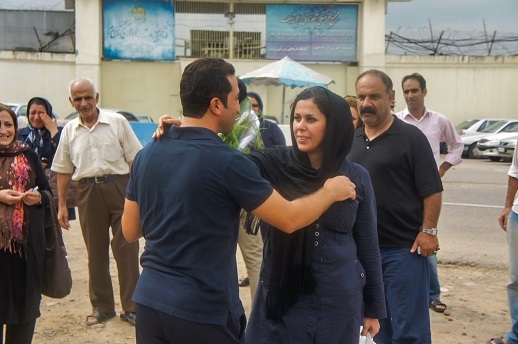 Youcef Nadarkhani is greeted by his wife, Tina, on his release from prison, September 2012. An Iranian Christian leader once sentenced to death for apostasy, Youcef Nadarkhani, has now been charged with acting against national security. Nadarkhani, who belongs to the non-Trinitarian Church of Iran, was released on 24 July on the condition of raising 1 billion rials (US$ 32,000) for bail within a week, or facing arrest. He was also accused of being Zionist and informed that he had no right to evangelise. Nadarkhani was initially arrested in 2009 and charged with apostasy after questioning why his children’s school only taught Islam in their religious education, which he said was unconstitutional. Amnesty International has criticised Iran’s “cruel” denial of medical care in its prisons. 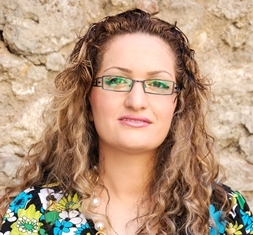 It mentions the case of Maryam Naghash Zargaran, an Iranian Christian who has undertaken two hunger strikes to protest against her being denied the medical treatment she requires for long-standing health issues. 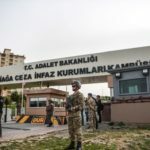 On 31 Aug, Zargaran was for the third time allowed to leave prison to receive medical treatment. Her family have said they hope that this time she will be given long enough to receive adequate care. In October 2015 and in June 2016 she was briefly released for treatment but both times forced to return to prison before it was complete. After her latest hunger strike, which ended on 2 Aug., Middle East Concern said her health had deteriorated further. Zargaran, a convert from Islam, has served three years of a four-year jail sentence. She was originally arrested in January 2013, in connection with her work at an orphanage alongside Saeed Abedini, who was also imprisoned, but eventually released in January this year. UPDATE (19 Sep.): On 17 Sep., Zargaran was returned to prison after her medical treatment was again cut short. Her friends and family reported that she was again unable to receive adequate treatment during her time at home.